The ease of photography with mini Hot Shot cameras meant more candid and fun family albums. Many decades before mobile phones made photography easy and comfortable for all, it was the hot-selling Hot Shot camera in the late 1980s that created a stir. Brand consultants say it brought in a sort of revolution –both in the field of photography and in Indian families by making the process simple. 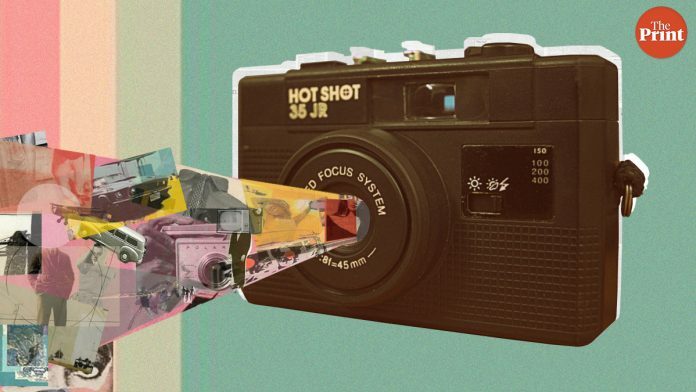 Before aim-and-shoot mini Hot Shot cameras burst into the Indian urban imagination in 1987, photography was considered a serious business and was meant only for a skilled few. Family photographs were a production. You either had to visit the neighbourhood photo studio in your Sunday best or get hold of that one person in the family who had a good camera, skill and time. The single lens reflex analog camera was heavy and unwieldy and more importantly, one needed to learn the art of photography. The humble instamatic Hot Shot camera managed to restrict the heavy, expensive, high profile single lens reflex (SLR) cameras to just the serious and professional photographers’ club. The Hot Shot camera introduced the “in a snap” system of taking photographs – just pointing and shooting. A camera, once labelled as a luxury, premium product meant only for the rich, became a mass product, priced reasonably and aimed at all. Available at Rs 75 in the 1980s, The Hot Shot cameras sold like hot cake, despite the sub-standard quality of photographs. Candid, casual moments of families, couples and friends were now recorded with more ease and frequency. “Hot Shot camera was all about capturing the moment more than the skill and quality of photographs, nobody bothered about the quality of the photographs,” said advertising and brand expert Santosh Sood. “It was no more about the perfect photograph, for that one had to go to a studio to get shot,” Sood noted. Brand guru Harish Bijoor said it helped that the Hot Shot camera was armed with a strong brand name along with a successful advertising campaign. The television commercial highlighted several threads and moods of life underlining how important it was to have a camera to capture these moments of life and preserve it. You didn’t need to strike a pose anymore. The new Hot Shot could catch you unawares at any time. It brought an element of informality and fun to family albums. The keyword in the jingle was ‘attack’ – it was an attack on the ritualistic formality of stiff camera poses. It was the precursor to the ‘Kodak moment’ phenomenon of the 1990s. The catchy ad showed people of all ages celebrating the vibrancy of life while being clicked on a Hot Shot camera. The jingle began with the word ‘attack’. It was called “the smallest little camera that money can buy”. The commercial showed that it was now possible and fun to capture the imperfect and embarrassing moments at family get-togethers and parties. Bijoor added that the Hot Shot camera paved the way for photo-centricity besides ushering in the somewhat narcissist culture of takings photos, rather than focusing on experiences. “It was immensely gratifying for the younger generations. It was the Instagram of sorts way before Instagram came into being,” Bijoor said. The camera was manufactured by Mumbai-based Photophone Ltd. The company produced the camera in 110 mm and 35 mm formats, as well as flash units and film rolls. It was also around the same time that Polaroid cameras made their way into the Indian market. They were expensive and had the snob value. Not everybody had it. The mini Hot Shot changed the way Indian families clicked.